What are your beauty wishes? Nice manicured nails at all times? Fuller glossy Lips? Flawless complexion with radiance? Long and luscious lashes? While these wishes are hard to achieve in natural ways (but if you do have all 3 naturally, I envy you), it's achievable with makeup. 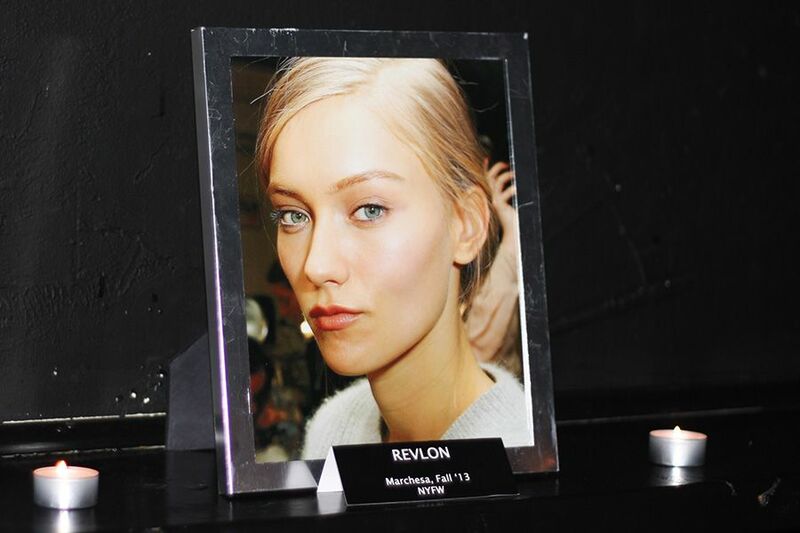 Like Revlon's Global Artistic Director Gucci Westman likes to say, "Makeup can be incredibly powerful... it's a very magical tool." 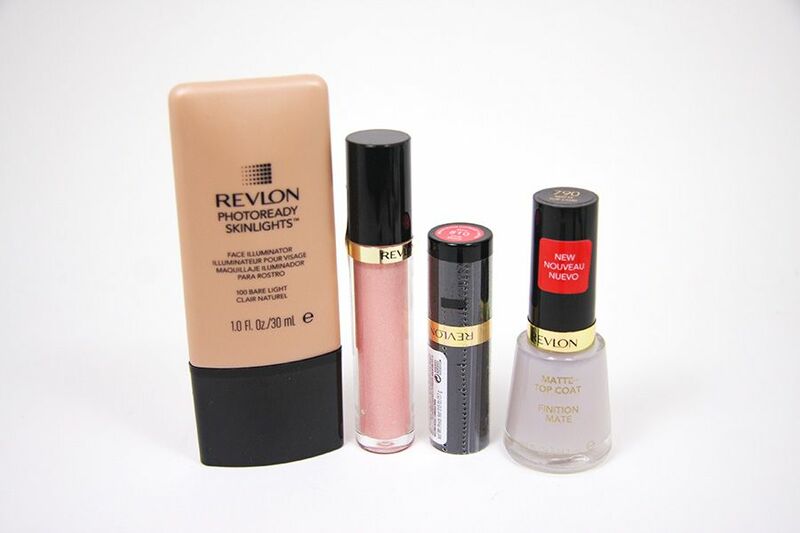 Last week, I got the opportunity to preview some of Revlon's new products for the year 2013. It's rather exciting, because I am a big fan of a lot of their products. 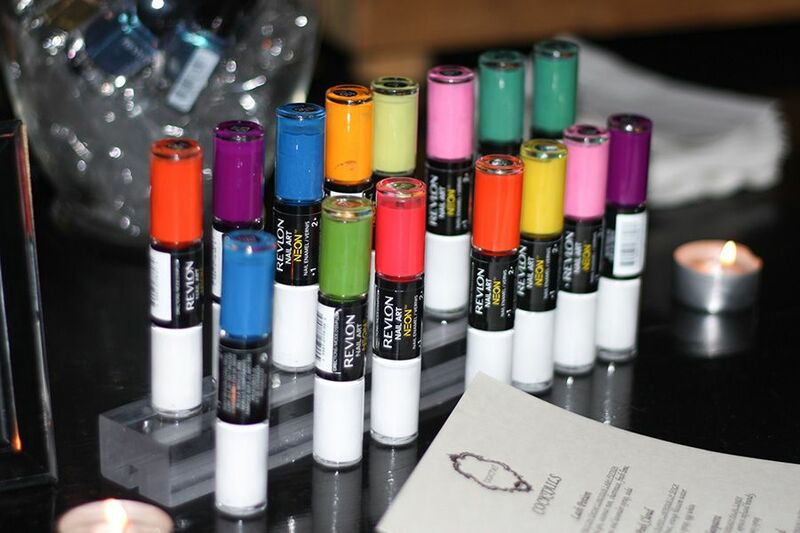 "Hi, my name is Rica, and I'm a Lip Butter hoarder." So it's exciting to see what they have prepared after one awesome year they had for all of their lip products release! 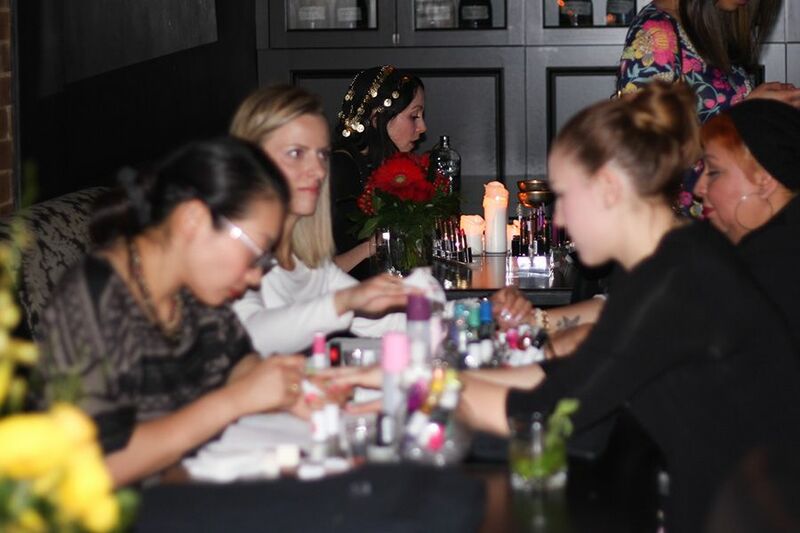 The event was held at Bar Chef in Toronto Queen West area. 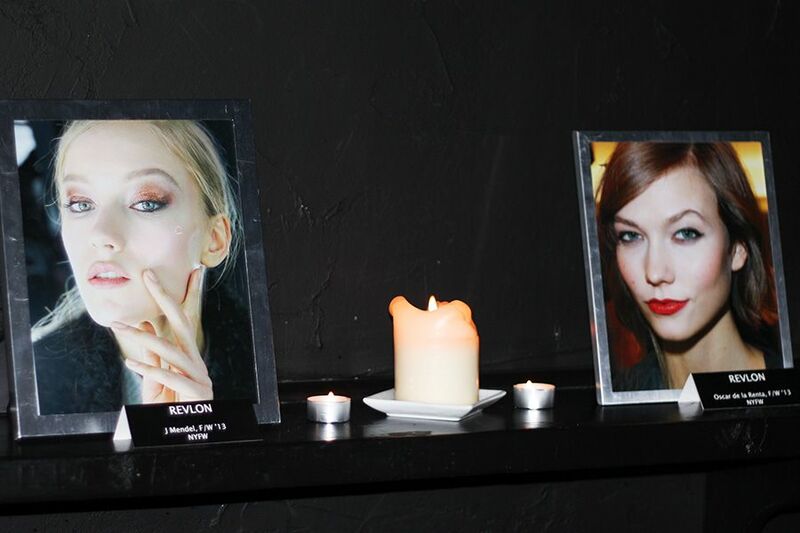 They had a theme of "Magic of Makeup". 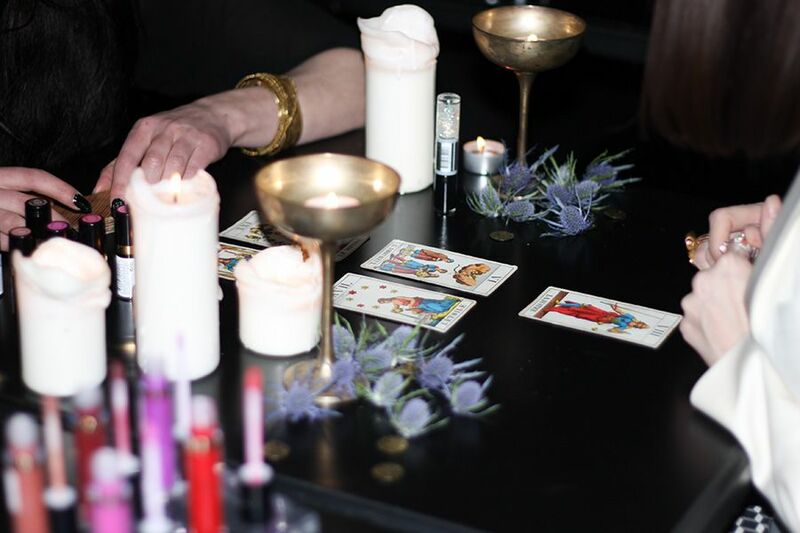 When you walked in to the venue, they created a slightly mysterious atmosphere with all the colourful drinks with smokes coming out, dim lighting, candles, and Tarot Card Reader! 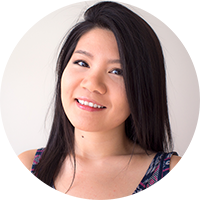 After catching up with some of my fellow Toronto beauty bloggers, I immediate got drawn to the nail section! 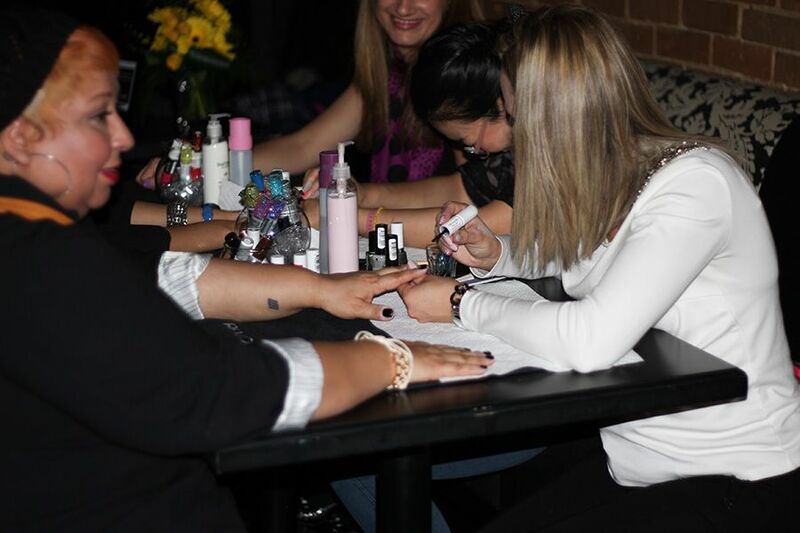 They were offering manicures, courtesy of Tips Nail Bar. 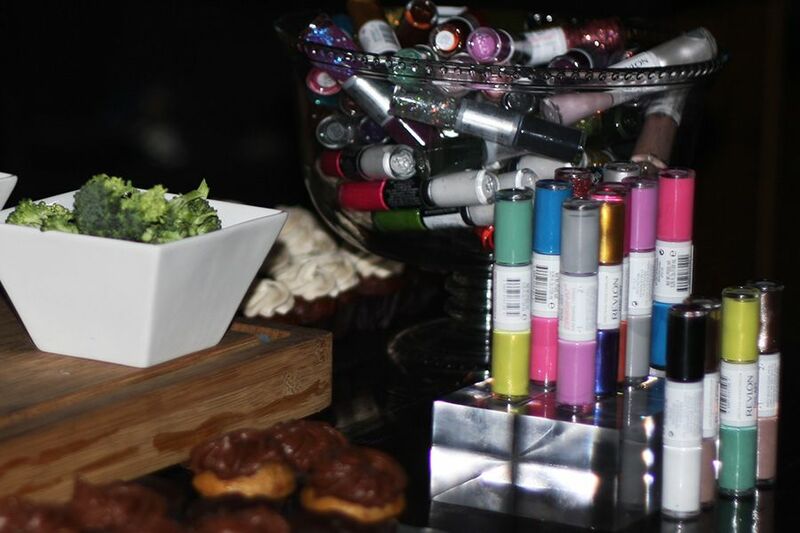 And also showcasing some of the newer and unreleased products of their nail line. 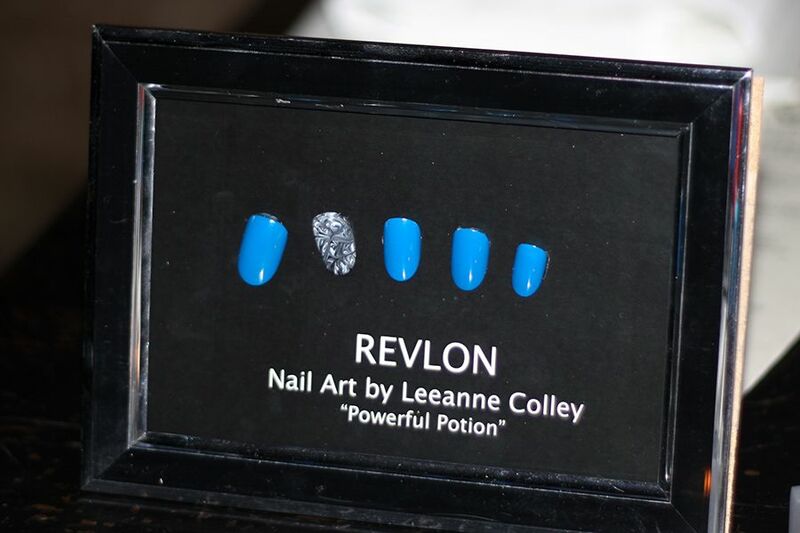 And I got to reunite with the super sweet Leeanne Colley, the Revlon nail products spokeperson. 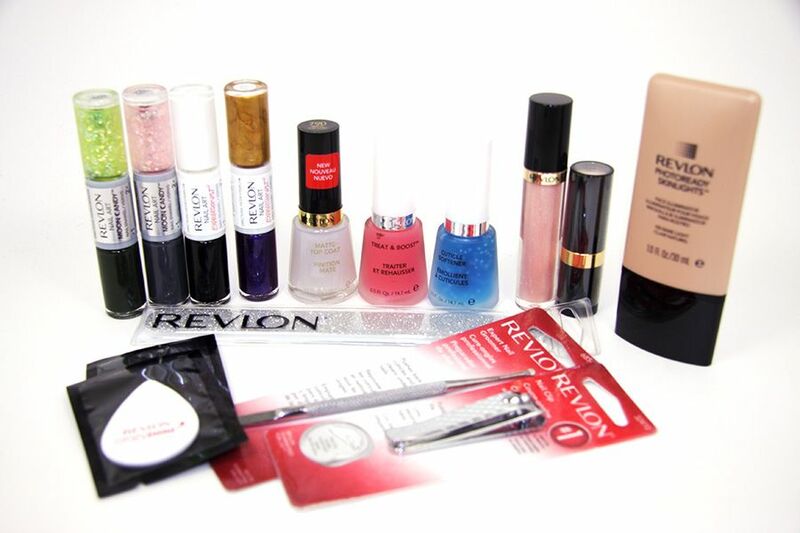 Revlon probably has the most extensive nail line among all drugstore makeup brands (not including the solely nail care brands). Aside from their regular nail enamel that wows us from time to time, they also have 3 new lines of nail polishes that any nail art fanatic should check out! On one side you will see opague colours for you to use as a base that is labeled as 1, and on the other side, it's the moon candy side that is labeled as 2. 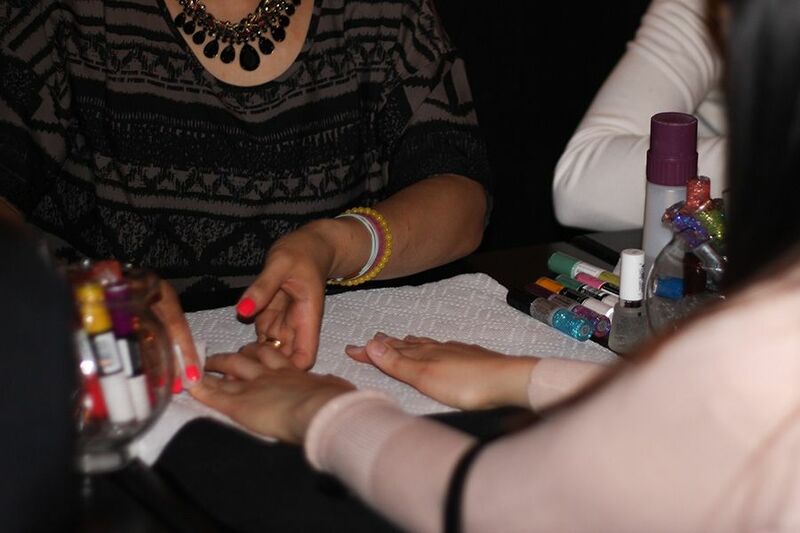 The #2 side contains a gel-texture polish with multi colour flakes. They are like glitter nail polishes but in flakes form, so the pieces are not the same size and are more unique. Leeanne told me the trick to apply these flaky polishes is to press instead of glide so that the flakes will stick on the nails. This is pretty self explanatory, it's neon nail polishes. One thing that is different though is that they provide a white base for you to apply prior to the neon colours to make the colour pop! 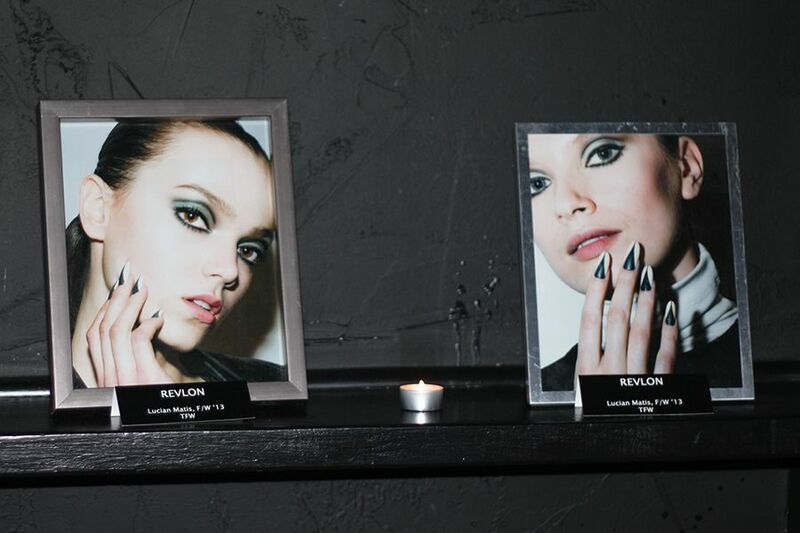 Like its sister collection, it features two sides of nail polishes - a base and a nail art polish. 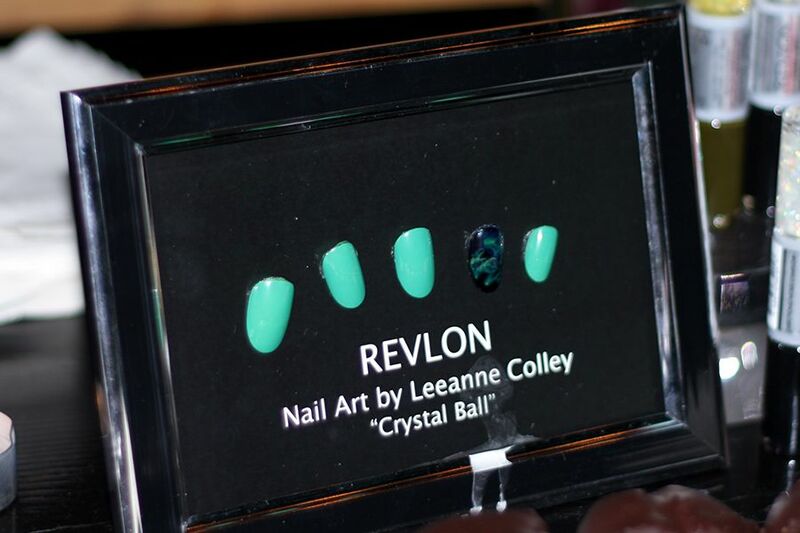 However, what makes it different is that on the #2 side, it features an extreme thin brush so that you can draw on different patterns on your nail! Now, I still am not able to do a good job, but with practice, maybe we can replicate what Leeanne and her colleagues did at the Lucian Matis show using these Expressionist polishes. 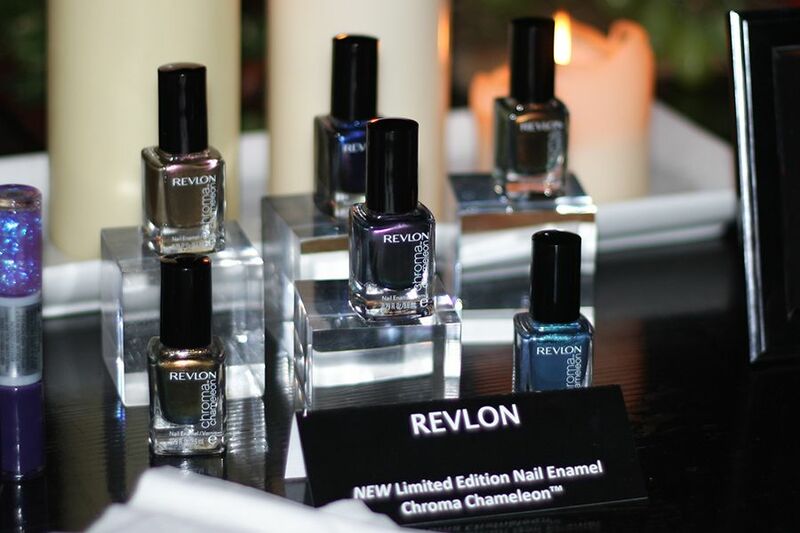 This collection consists of 8 duo chrome nail enamels. One of the colour looks like a great dupe for Chanel Peridot they release a couple seasons back! But they are only LE and available only in May 2013. So if you're a fan of duo chrome nail colours, get them while you can! Ande getting her nails done! They were also showcasing some of Leeanne's design! 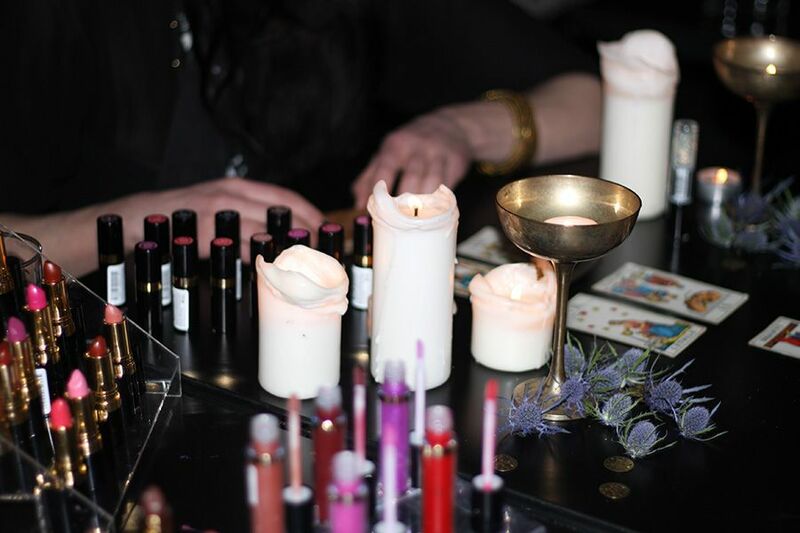 Next up is the Tarot Card section... You can have your future read or have your lip colour matched! I have to say I am a little skeptical and scared about psychics and all that fun stuff, so I didn't attempt doing it. 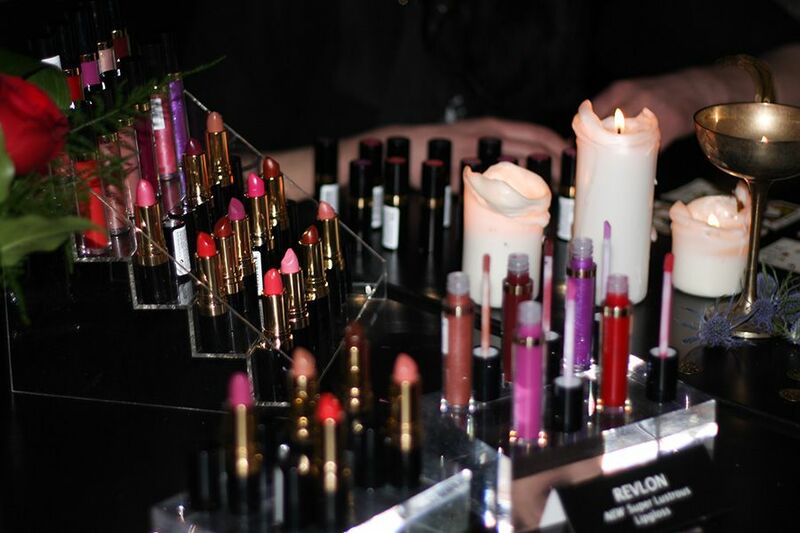 However, it's such a fun idea that they can read what colour of lipsticks/lipgloss you should use. Moving on to the skin section. 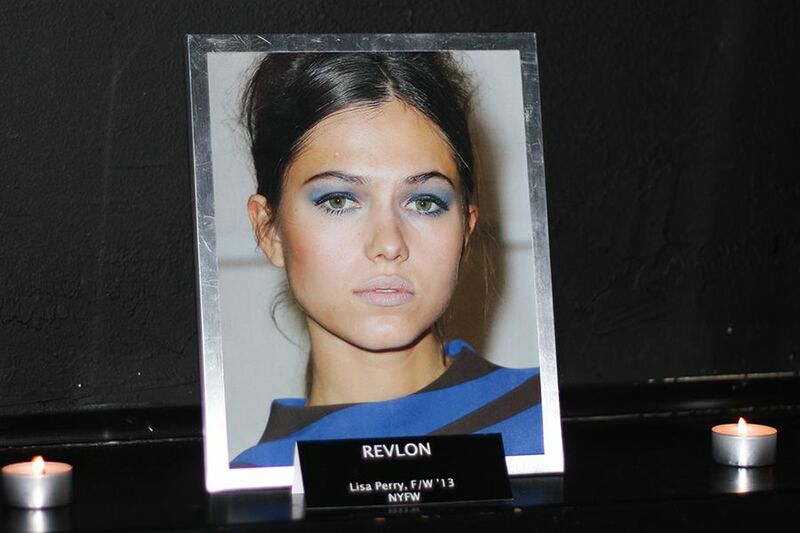 While I was at the backstage for Lucian Matis's Monochromatic collection, I already spied this new product that I might potentially love... Debuting in June 2013 is the Revlon PhotoReady Skinlights Face Illuminator. Everyone and their mother loves a radiant complexion, and so do I. I probably own too many highlighters that I will never be able to use up in my lifetime. But that just reiterates how much we all love the look of glowing skin! 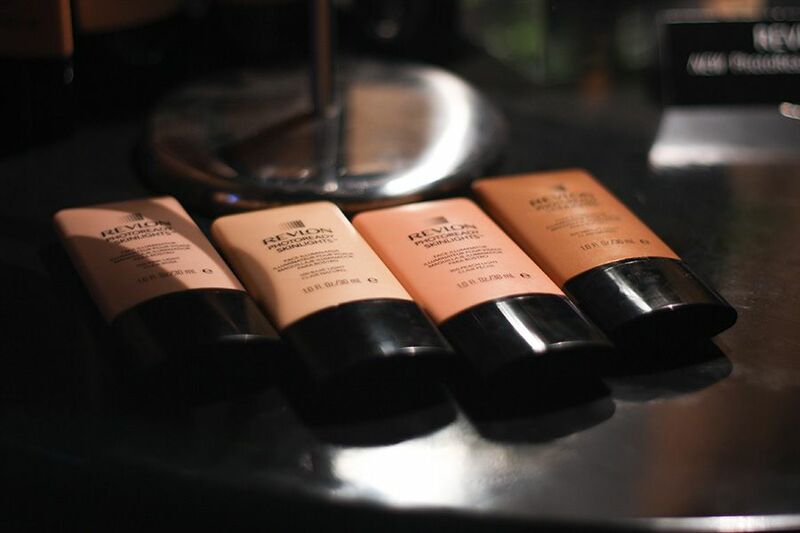 Their face illuminator comes in 4 shades: Bare Light, Bronze Light, Peach Light, and Pink Light. If you're fair like me, or fairer, Bare Light is your best bet! It gives a pearlescent glow to the skin without being sparkly. I can still pull of pink light or even peach light, but I would probably apply them on my cheeks instead of high points of my face. 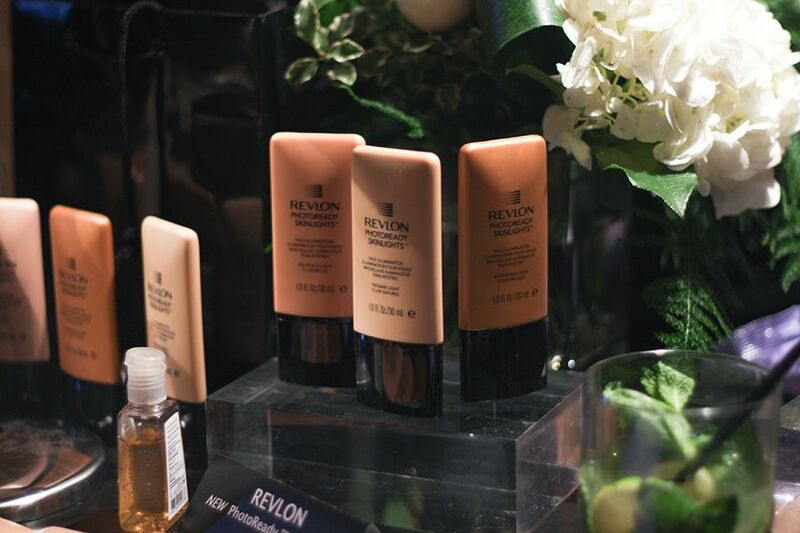 For deep skin babes, Bronze Light will add a healthy sun glow to your complexion. But us fair ladies can also use it by mixing it in our moisturizer and applying on the legs to gives an illusion of a nice tan! As you can probably tell, I'm quite into this new bad boy! Last, but not least, we cannot forget the eyes. I envy those people who have curly lashes and do not require a lash curler, but for everyone else, we all need one. I have used their lash curler before (the plain ones) when I was in high school, but these bling bling ones are totally cute! 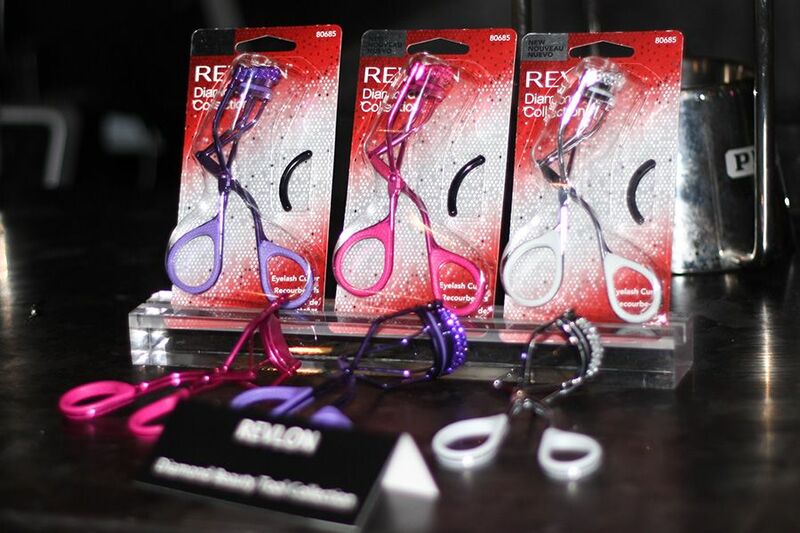 Too bad I already have a few lash curlers, or else I would get the pink one for myself! 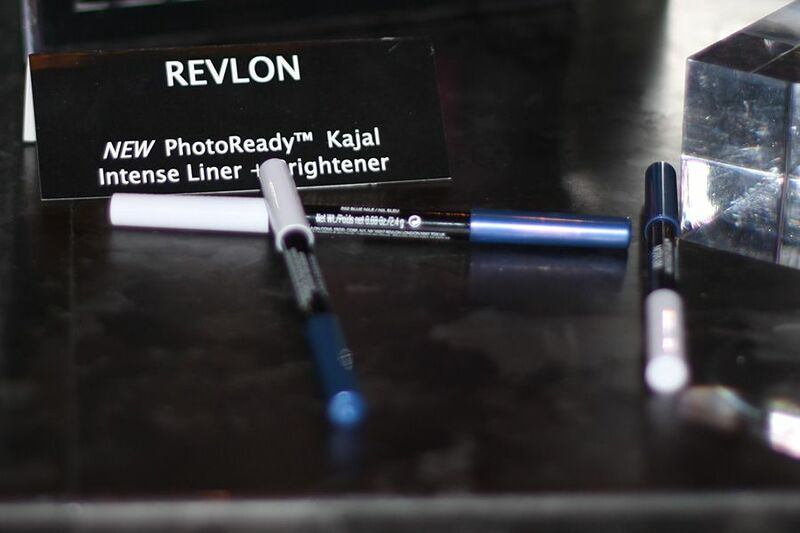 PhotoReady Kajal Intense Liner + Brightener comes in 2 shades, black and blue. Both are doubled ended with regular Kajal liner on one side and white Kajal liner on the other side. They are pretty creamy so it doesn't tug, at least not on your hands. They are not too creamy, which is probably a good thing for the waterline. The blue shade shown here, to me, is the winning combo. You have the blue liner to make your eye whites (is that correct?) whiter, and the white liner to brighten the eyes! 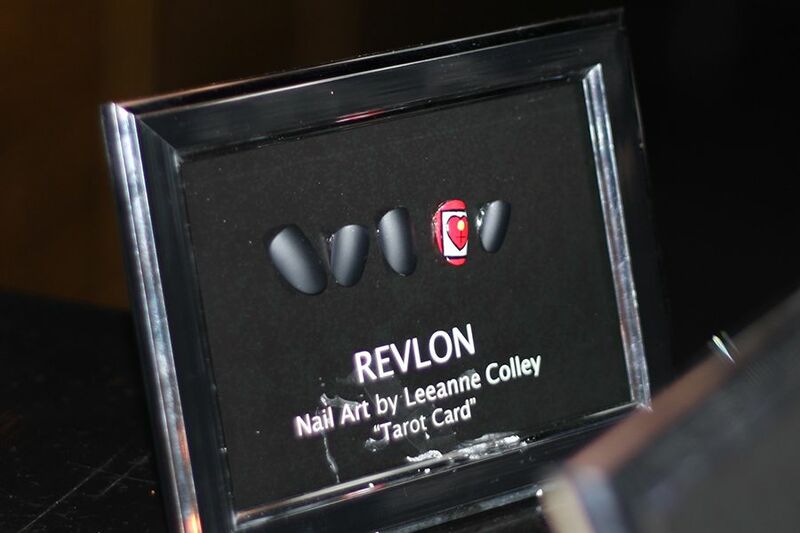 Revlon also showed us a top-secret mystery product launching this month (available in May)! Now, we're not allow to say anything until after April 15... so be sure to check back to see what this product is! We were also sent home with some goodies to try out! Excited to try out some nail tools and nail care products! Brand new products hitting store soon! 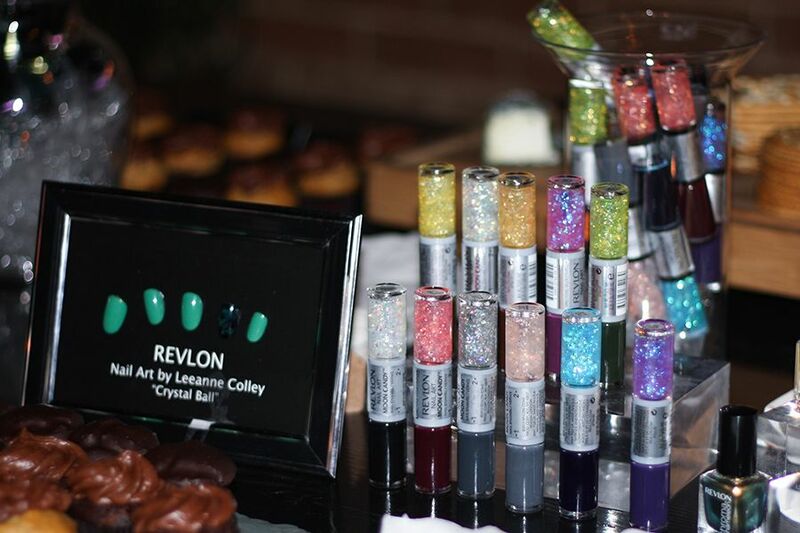 Did you also go the revlon rouge nail bar in December in Montreal? Lord Zilialia thank you for your help.